Thomas and Cassie’s mother hadn’t included Old Red in her plans to meet the Underground Railroad conductor. At the planned meeting time, the master’s old hound dog ripped her plans to shreds as surely as he would her two children. Using herself as a decoy, the family separated. Her final words to Thomas and Cassie were to follow the river and stay in the water to hide their scent. They did as she instructed not knowing if this would be the last time they would see her, or that this night would be the beginning of a long, dangerous journey with an unknown future. He couldn’t see the fear in her eyes, but he heard it in her voice. Old Red was mean. Mean was the only word that could describe the old, red hound. Not only that, but he hated Negroes in particular. He had been trained that way. The dog had been tied to a stake and beaten, on the Master’s orders, by slaves. Taunted, teased, and beaten, day after day, the dog learned to hate people, and he hated people of color the most. Thomas shuddered as he remembered the Master turning Old Red loose on a captured runaway slave. He could still hear the man’s screams and see the red blood against the dark Maryland soil. He shuddered again, and pushed his sister ahead of him. His fear making him angry and rough with the sister he cared so much about. Thomas heard Cassie’s stomach rumble at the word supper. His own stomach felt like it was as empty as a dry well. Thomas knew he was giving her false hope. There would be no going back to the river. For the dogs and the Master were back there, and in the daylight he’d no longer have the North Star to guide him. Without its guiding light, they were lost. Momma never intended them to go this way; never intended they be without help or food. Help and food had been at the bridge, last night, but wouldn’t be there tomorrow night. There was no going back. They could only go further, deeper into the south. Thomas knew he could never tell Cassie the truth. The awful truth – they were lost and alone. Nancy Segovia has been a professional writer for over 25 years. She is the award winning author of the middle grade/YA fantasy Dragon Tears and the non-fiction work Shine. She has achieved publishing success in the fields of adult fiction, children’s literature, newspaper journalism, feature magazine articles, and poetry. She holds a Master’s Degree in Creative Writing from the University of Denver and a Master’s in Religion from Northwest Nazarene University. Of herself she says, "When not writing or teaching, I like to take online classes in a variety of areas including history, education, religion and philosophy. I also read and watch TV. Much to my shame, I really enjoy reality TV shows like "The Bachelor" and "Survivor," and I have an unholy passion for all things vampire and love watching “The Vampire Diaries” and “The Originals.” When not doing any of those things, I play with my four dogs and six cats as I love animals. In the past, I have raised and cared for horses - quarter horses and Thoroughbreds - geese, chickens, fish, birds, roosters, hamsters and once a pot-bellied pig." She also takes in strays whether they be four-legged or two, if they need help, she will provide it. I also volunteer for several horse rescue organizations which care for abandoned or mistreated horses or rescuing those bound for sold for slaughter. She is also married with 5 daughters and 8 grandchildren, and they are her greatest joy in life. She currently teaches college English, and continues to write and publish. 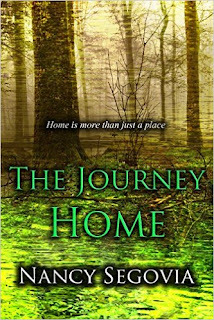 She has several books published for including The Journey Home, : Dragon Tears released in12/2014 , Shine: How to Walk the Talk, When You Wish Upon A Star, and Benjamin's Bride. Next year she plans to release book one in Ellora’s Quest: Freedom’s Call and Dragon Song a sequel to Dragon Tears.